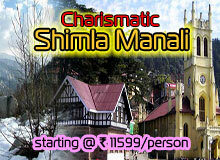 A very warm Namaste and equally warm Welcome to the Land which can be best described as the 'Incredible India'. It seems improbable that any other country across the globe offers so much diversity and richness in all aspects. North India is one of the charming places in India and every tourist would look to visit this part for the first time they come to India. 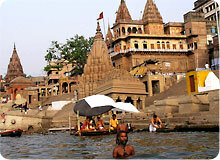 We help you with great tours and travel in north India. We help you feel these charming places that add to the beauty of our country. 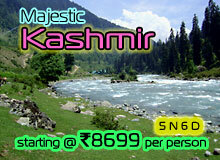 We are here with special holidays conducted for North India Trip. 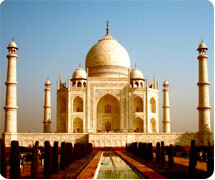 There are many places to visit in North India including Golden triangle of India. 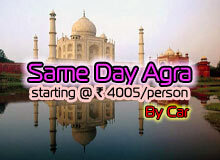 We conduct Golden triangle tour that covers Delhi, Agra, and Jaipur journey. Apart from these, you have Varanasi, Khajuraho, Orchha, Jammu and Kashmir, Jodhpur, Udaipur, Ranthambore, Shimla, Manali, Kerala and many other such places, which is necessary in North India. 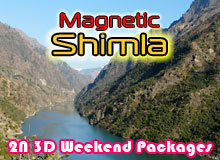 We help you cover all such journey with our exotic offers that is filled with fun and excitement. Our conducted journey will bring you closer to culture, tradition and lifestyle followed by the local people of every place. You can cover these journeys with flight, car or train, whichever option you feel is good for you, as we provide with all options. 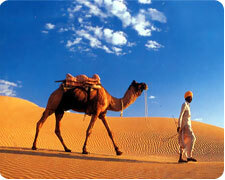 So, pack your bags and enjoy the visit to each place of India with our special tours and travels. 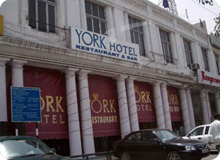 Once you come to us, you will love to get all future trips managed by us repeatedly. Golden Triangle Tour include Delhi-Agra-Jaipur trip and it would be incredible to explore the northern India with its spellbound locations. Most of the popular places to be travelled around lies in north India and you will find exciting touring options available in front of you. There are many holiday packages available these days from tours and travels. 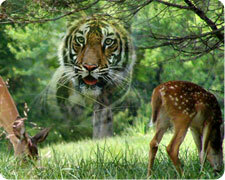 Delhi Tour - Delhi is one of the prominent places in north India and it is the capital of India. This has been the centre of political activities of India since long and some of the great places that you can explore here are Red Fort, Chandni Chowk, Jama Masjid, Raj Ghat, Akshardham Temple, Purana Quila ,National Gallery of Modern Arts, India Gate, National Museum, President's House, Humayun's Tomb, Lotus Temple, Qutab Minar, Dilli Haat, Safdarjang's Tomb, Rail Museum, Bangla Sahib Gurudwara, Laxmi Narayan Temple, Jantar Mantar, Delhi Metro Train and more. These places will surely make your trip much more memorable and mesmerizing. Agra Tour - This Golden Triangle Tour takes you to its second destination and that is Agra which is famous for the most beautiful monument Taj Mahal. Beauty of this monument has been attracting many visitors from all over world. This reason makes it worth be listed in Seven Wonders of the World. Other places, which you can explore here, are Agra Fort, Itmad-Ud-Daulah, Chini ka Rauza, Jama Masjid, Sikandra - tomb of Akbar, Mathura, Vrindavan, Fatehpur Sikri, Bharatpur bird sanctuary etc. 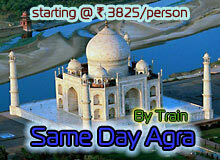 Jaipur Tour - The third destination covered by Golden Triangle Tour is Jaipur. This is the capital city of Rajasthan and it is also famous as pink city because of the red stones used in building houses. . You have great places like Amer Fort, Hawa Mahal, Jantar Mantar, City Palace, Central Museum, Jal Mahal, Jaigarh Fort, Nahargarh Fort, Laxmi Narayan Temple etc. Jaipur is also famous for many market for shopping like Bapu Bazar, Jauhari Bazar, Nehru Bazar etc. North India Trip covers all the tours of India and can be tailor made as per your requirement and it gives you opportunity to make your own trip to Incredible India. 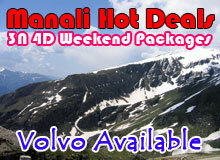 For more packages click here.